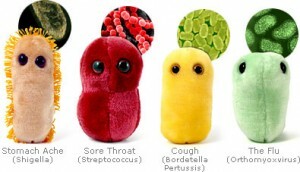 Plush Microbes have got to be the most innovative soft toys we’ve seen in ages because they look just like the nasty little critters on which they are based. Sort of. (Well they are a million times bigger, a few thousand times cuter, brightly colored and furry).